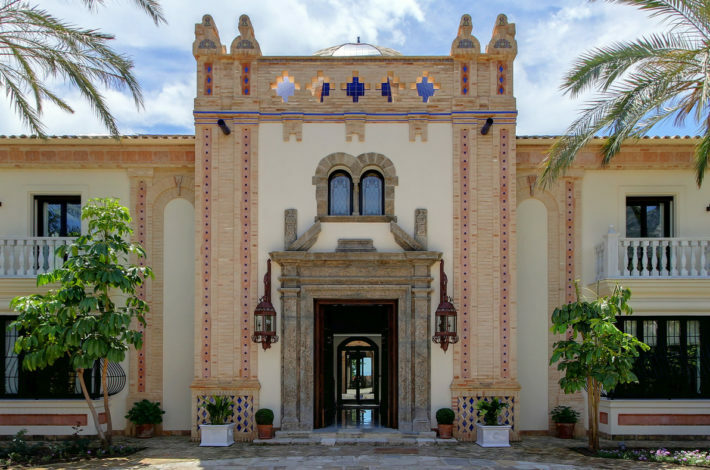 Marbella has come a long way since the 1950s when Prince Alfonso von Hohenlohe opened The Marbella Club. Luxury beachside villas began to be constructed in and around the club, this area is now referred to as the Golden Mile. 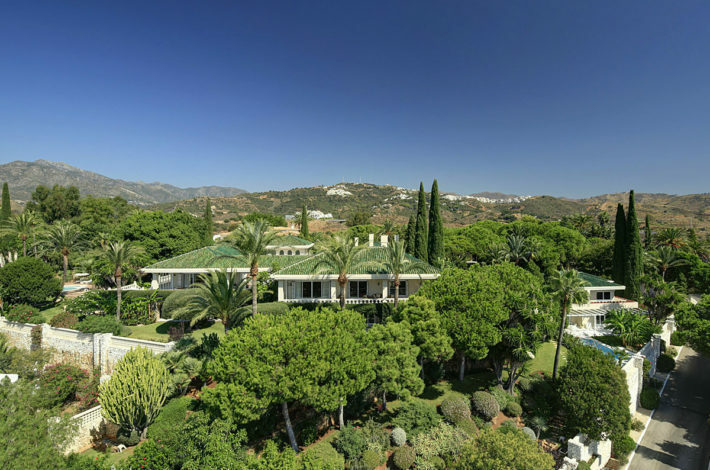 Hollywood celebrities and European royals have since made Marbella their summer playground. From Audrey Hepburn and Cary Grant to Michelle Obama – everyone who is anyone has holidayed here. Rolling Stones’ musician Ronnie Wood, singer Prince, actors Antonio Banderas, and Sean Connery have also enjoyed the five-star infrastructure, first-class cuisine, and sunny climate. Today, buyers in Marbella include owners of 30-meter yachts moored in the port of Puerto Banús and entrepreneurs wishing to invest spare 2-3 million euro in real estate. 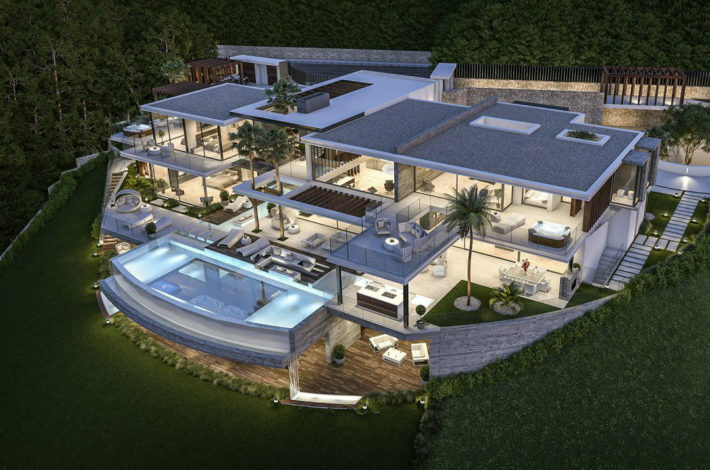 One of the most exclusive properties in Marbella – a 2,438 sqm (26,242 sq ft) nine-bedroom luxury villa set on 1 hectare (112,299 sq ft) of land at the foot of a mountain range – is for sale for €23,300,000. In the same area, one million euros will buy you a 159 sp meter (1,711 sq ft) home with three bedrooms, a 224 sqm (2,411 sq ft) terrace and access to all the amenities of Palo Alto. 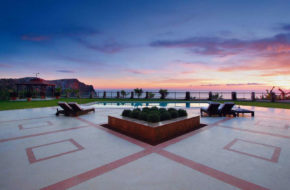 The property commands stunning views over the sea and the hills of Andalusia. 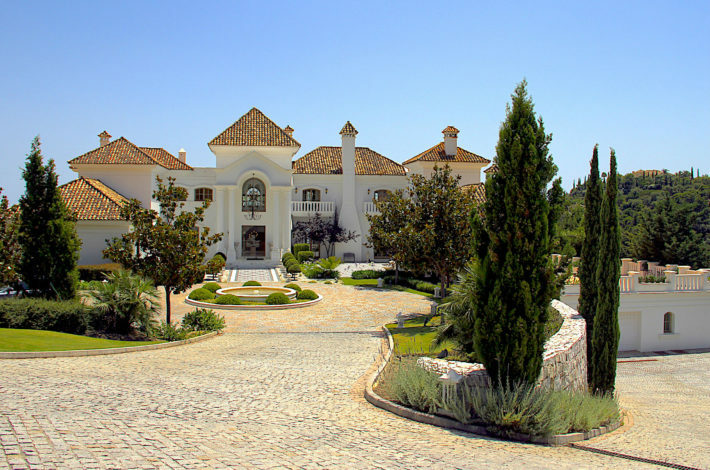 Average sale prices for properties with five bedrooms in Marbella total €3m. 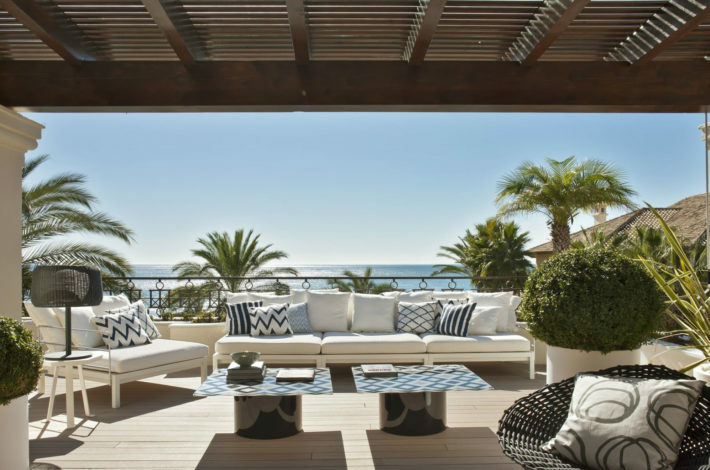 Though the classic addresses such as the Golden Mile, Nueva Andalucía and La Zagaleta remain unchanging pearls they are now joined by increasingly fashionable areas such as La Alquería, Atalaya, El Paraíso and Marbella East. Nueva Andalucía is an upmarket community situated at the foot of the Sierra Blanca mountain range. That’s where many famous and exciting spots are located including the iconic Puerto Banús marina, boasts designer boutiques, 5-star restaurants, and, of course, luxury villas with the best terrace views in Marbella. 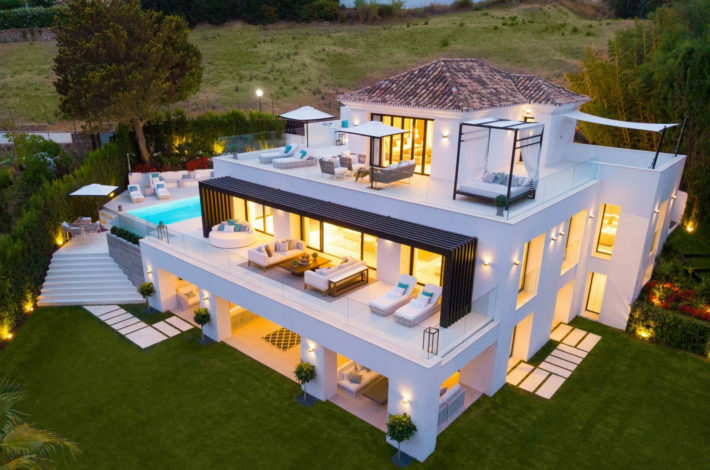 A combination of 5 golf courses in the Golf Valley and the direct connection to the A7 highway leading to the airport make Nueva Andalucía an enviable place to invest in and live. Golden Mile Beachside district is very much the original Marbella with its high-end luxury beachside villas with prices of up to €60 million. 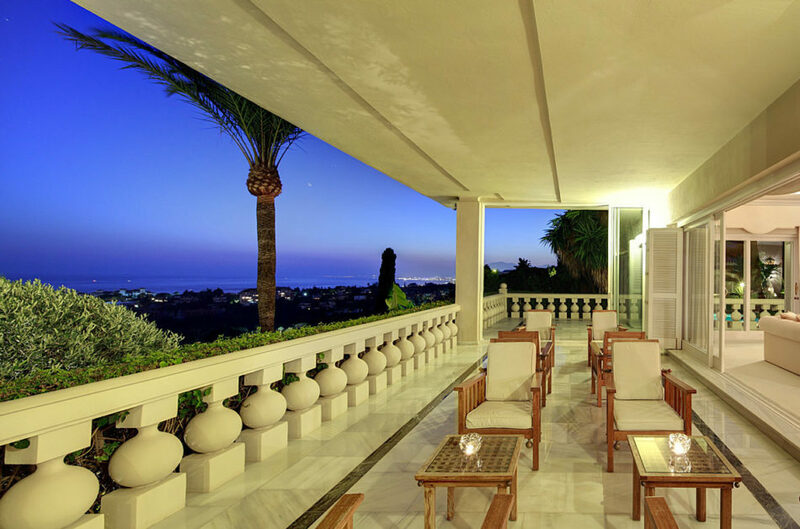 No wonder – the properties are nestled in protected pine forests that line the Mediterranean Sea. This area has a significant ‘old style’ feel to it, but the beachfront itself has been remodeled, and Marbella Town Hall has invested in a new promenade that links Marbella to Puerto Banús. La Zagaleta was founded in 1991. 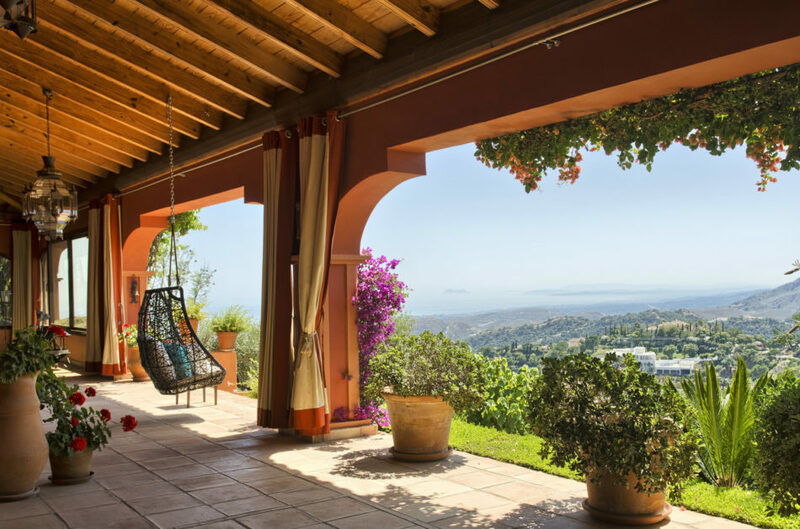 Located in the Benahavís hills at approximately 400 meters above sea level, it is surrounded by impressive views of the Mediterranean, of the Strait of Gibraltar and of the Serranía de Ronda. A special micro-climate with soothing temperatures in winter, a wonderful natural environment, exclusive status, a private riding club, and two 18-hole golf courses make La Zagaleta the chosen spot for a privileged few to enjoy a dream home. 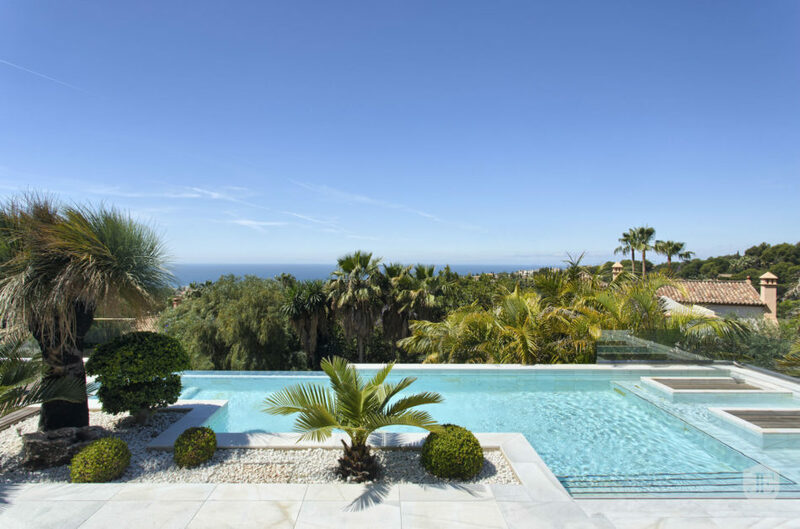 Marbella East, which includes the areas of Rio Real, Los Monteros, El Rosario, Las Chapas, Marbesa and Elviria, is known all around the world for the best beaches on the Costa del Sol, luxury resort hotels and villas, championship golf courses, racquets clubs, spa and wellness centers. Marbella East also supports an active professional population, private colleges, a wide variety of sports and an active social life. 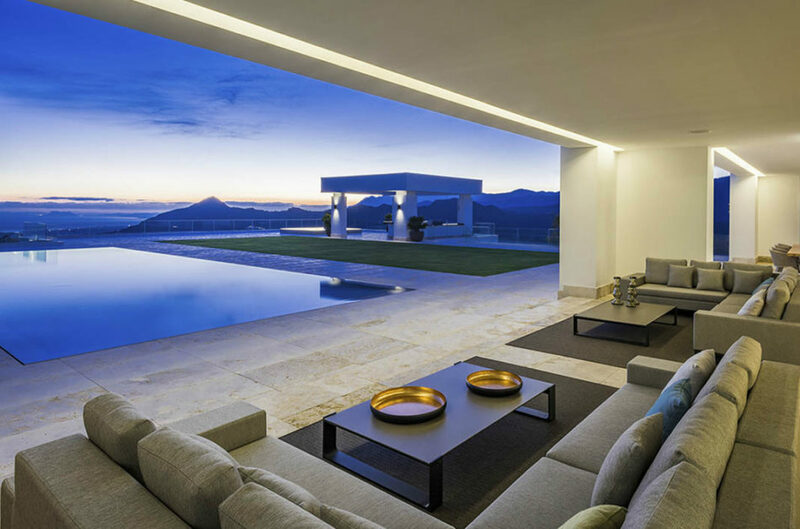 The number of Spanish home sales in October 2018 rose by 17% compared to the same month last year, according to the Spanish Land Registry. New home sales were up 15% totaling 7,971 units and resales were up 17%, totaling 43,536 units. Sales growth was particularly strong in Murcia (+53%) and the Seville province (+50%). Growth was also strong in Catalonia, and Barcelona in particular (+31%). The only regions that registered a fall in the sale were the Canary and Balearic Islands – due to a shortage of homes for sale. So the demand for homes in Spain continues to grow robust. The mix of property investors in Marbella is truly international. Their top eight countries of origin are the United Kingdom, France, Belgium, Sweden, Germany, the Netherlands, Russia, and Norway. Most buyers are couples or families, from late 30s to mid-60s, and the majority are lifestyle or end-user buyers, with a smaller number buying purely for investment. They tend to have similar requests: sea views, walking distance to amenities, south or south-west orientation and privacy. Gated communities with security are also a popular request, and new areas becoming more popular than before. 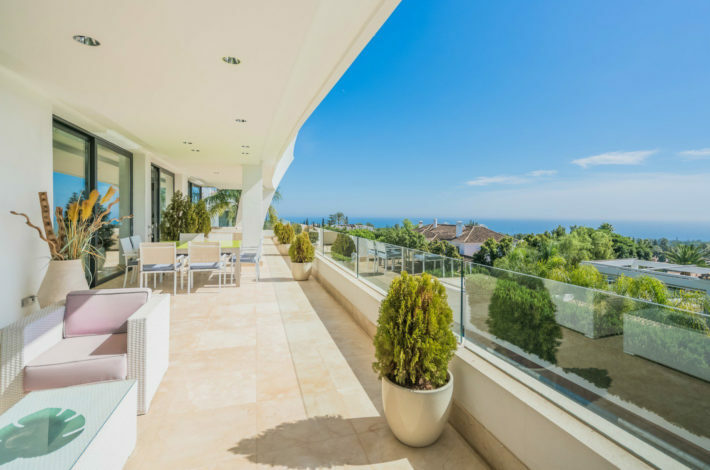 The most popular properties are the Nueva Andalucía apartments ranging in price from €250.000 up to €1 million and villas from €1 million to €3 million. The sweet spot is apartments worth around €500.000 in prime locations close to services. Three-bedroom villas in prominent areas close to beaches and amenities cost up to €2 million.